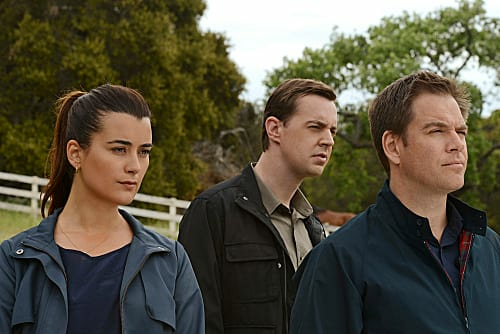 NCIS Round Table: "Til Death Do Us Part"
Our NCIS season finale review broke down the season finale of TV's #1 show in detail. Now, TV Fanatic staff members Steve Marsi, Matt Richenthal and Eric Hochberger have assembled for our weekly Round Table Q&A discussion of events from last week's installment, "Til Death Do Us Part." Describe this episode in one word (or two, or three, or four). Best quote or scene from "'Til Death Do Us Part"? Steve: Aside from the heart-stopping final two minutes, and the surprise factor of Dearing outsmarting the team every step of the way? I'll take Tony and Ziva's discussion of weddings, and knowing look. Matt: Gibbs zinging Vance by saying he wouldn't take a bullet for him. One of the few lighter moments in a serious episode. Vance's role in all this should be expounded upon, by the way. If he felt he let the team down by not catching Dearing before the explosion, how's he going to react now? Eric: Call me a cheeseball, but I'm going with Palmer's pre-wedding plea to Breena. Logistically, he could've waited a few hours and at least gone through with the ceremony so the guests wouldn't be upset, then left before the reception, and she probably would've thrown a fit, but that's TV for you. More importantly, the sentiment was there, and certainly in character for Palmer. Breena's a keeper for sure, too, for going along with it. Share your thoughts on the season-ending arc as a whole and how this episode fit in. Steve: The final four episodes were all terrific, each in their own way, building up to a true cliffhanger. There were moments I might have changed, but it was first-rate on balance. I'm definitely curious to see how Dearing gets what's coming to him and can't wait until September. Matt: Not as good as some past finales - I think we all agree on that - but solid. Eric: It was awesome. I don't think you can compare to past seasons, or at least I don't try to, because of the different emotional stakes, even characters. I try to evaluate them each on merit and this was excellent I thought. Were you happy with the way Dr. Ryan's arc ended? Matt: The husband's release irks me a little. First of all, she's a hard-nosed brain-gamer who will track the world's most notorious terrorists, so her reaction felt a bit out of character. Second, how could Dearing pull that off? The Naval vulnerabilities he studied and exploited were properly explained throughout the last four weeks, but bribing federal judges? A bit of a stretch. All in all, Ryan had her moments, but her time on the show was uneven - to be expected from an admittedly complicated individual, but all over the place at times. Eric: As long as it did in fact end, I have nothing negative to say. What about the return (and demise) of Cole? Steve: I enjoyed this component to the mystery. His storyline wrapped up almost too quickly this winter, too much so for such a complex villain. He definitely gained some measure of redemption by going out on the side of the good guys ... not an easy thing to pull off, but Scott Wolf did a great job of selling it. Matt: It was well done, and also tied into how Dearing got his hands on all this information in the first place, which always seemed too easy for me, so bringing him back served several purposes. Eric: The only thing I didn't like was that it was too short-lived. Scott Wolf as a creepy, yet compelling villain - who'd have guessed? I would've liked to have seen him get closer to bringing down Dearing, maybe meet with him face-to-face. Would his newfound loyalty to Gibbs or his criminal tendencies win out? NCIS team MVP of the week? Steve: Ducky. Such a wonderful character and so often overlooked. It was fitting that he went to Florida to be with his protege, and we can only hope to watch that relationship grow more in seasons to come. Matt: Tony and Ziva, because both are great agents in spite of the perpetual romance debate. Side Note: Why were they in the elevator during an evacuation? You have to think this will be explained and play a major role in the season premiere, right? No way that was just randomly written ... otherwise that writer needs a head slap! Eric: He's not really a team member, but I gotta go with Cole. Sure, he helped get everyone into this mess, but as the only known casualty, you have to give him some respect for being at ground zero. Also, Gibbs. He would take a bullet for Vance, no matter what he says. And for Abby, who he shielded from the explosion. Will Ducky survive? What about the rest of the team? Steve: It's been established that David McCallum not only signed a two-year contract, but was aware of this storyline and how it will effect his character next season. Theories about the contract being a red herring are interesting, but I'm fairly certain he'll be back, along with the rest of the cast. Matt: He will, along with his colleagues in D.C. As convincing as the cliffhanger was/is, and as bad as the clips above look, the team members are all in a position where they can survive. And they will. Eric: I have some doubts, despite what my esteemed fellow panelists say. Just because the blast looked so bad, and does anyone know where Palmer is? Why were Tony and Ziva in an elevator? NOTE: I sincerely hope everyone makes it. The ensemble clearly works too well for CBS to break it up. Right? What are you most looking forward to in NCIS Season 10? Steve: There's a very real possibility that Season 10 may be NCIS' last. Not because I know something you don't but simply because of the difficulty of maintaining not only the personnel, but quality for such a long time period. Maybe it's not the worst thing, either, if the show can go out on top. Whether Season 10 or 11 is the end, it's hard to see it continuing beyond that, and as a result, things should start to wind down in ways that sends these great characters out on the best possible notes. Matt: I agree with Steve. 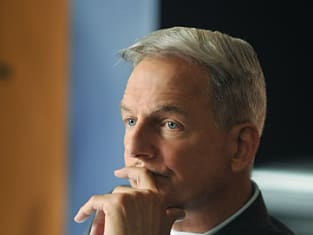 It may or may not be the final season, but we're heading down the home stretch and I hope Gibbs reaches a state of emotional enlightenment, or at least clarity. There also should be a resolution to the will-they-or-won't-they Tiva saga, one way or the other. I can see Ducky retiring on his own terms, as well (rather than dying on the beach), possibly being replaced by Palmer, with Abby and Tim getting together as well. I know Eric will agree with me there. Eric: Matt don't tease me. Umm ... no more Ryan (no offense to Jamie Lee Curtis, who is a fine actress, but that arc has run their course at this point). Hopefully a return to the core dynamics, characters and writing that have made the show a must-see for so many years.